That's true, I have downloaded all the FAST versions I can find I believe from "Subiefiles" I'll probably mirror it here for people. I need to find the correct version that actually specifies parts for my car's chassis#, there are even different parts between GC8A-B vs GC8C for example. There are cases I've seen of members getting the "right part#" but it doesn't fit on their car. Hey guys I updated a lot of info and mirrored a lot of stuff from SLI in my OP because links people use always end up going down. 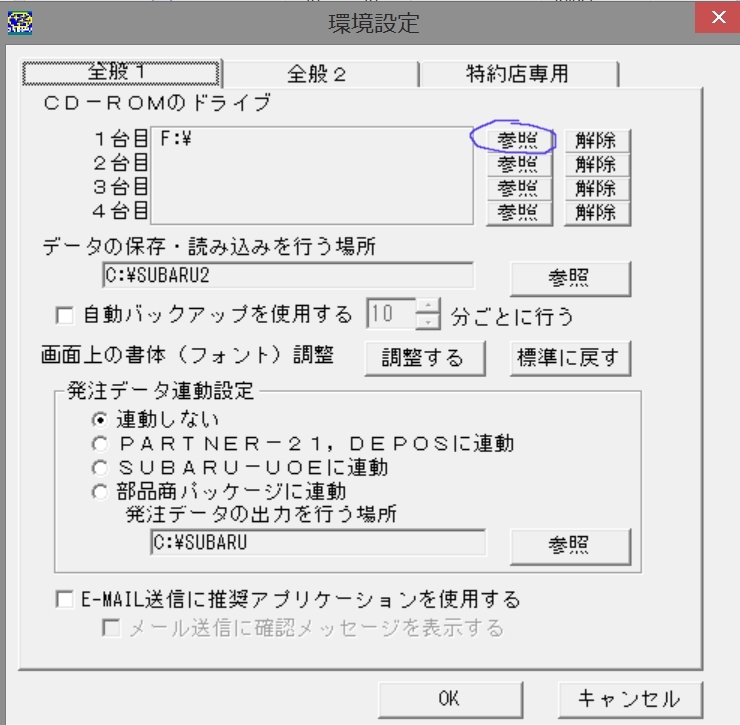 If anyone has a solution with how to use JDM ISOs with the English version of the program or in general how to look them up directly please share it. Just updated my OP to mention that the 30710 ISO contains Post 1998 Subaru although I'm not sure what year it runs until. Has anyone ever come across this error with the JDM/Japan version of FAST when translating/looking up parts? "bad file name or number" ? That's what happens to any part I try and get and then FAST freezes. I was navigating graphically through different items trying to help rotarygreg find his correct center diff VC unit on his BH5. I bet it could be a setting but it's not obvious especially since the language is all Japanese for the settings. If anyone has got the Japanese version please let us know how you did it. Stupid question but did you set Japanese as the language for non-unicode programs in "Regional and Language Options" in Control Panel? Or are you saying it's an issue with FAST itself? as you can see from the screenshot you can pick out quite specific models of Imprezas. Anyways, the program is pretty analogous to the english version so Im sure a bunch of guys here know it inside out, so you'll be able to use this program. Another helpful fact is that a huge majority of names for parts are english loan words in japanese. For example　エンジン means engine, and it's literally pronounced and spelled "engine" (well almost spelled). With that I can read a lot of useful words there. Since I own one an Imp myself I'll probably be stuck dealing with this program for a long time, and my Japanese studies are ongoing. Doing a translation guide thing would be a pretty productive project for my studies and working on my car. I'll probably start working on this. applocale is a free piece of first party windows software that lets you open foreign language software on windows without it freaking out. If you are having trouble installing it, and you're on a very recent iteration of windows right click the applocale install file, go to compatibility and run it in compatibility mode for previous versions of windows. 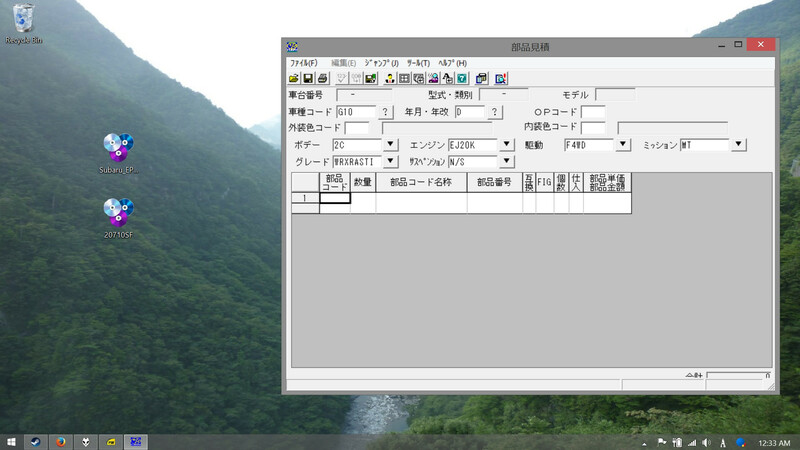 I use WinCDemu for image mounting. It's much lighter in weight compared to daemon tools and free as free can be. doing the whole installation and setup process with the english version in the OP first will make this easier. The software are basically just direct translations of each other with some minor differences. Hi RightAngle, Thanks for posting the step by steps. There was a bit of a glitch to get AppLocale to work (had to install as admin) on Win 7 64 bit version before I could get it to run. I got through all your steps and can see info for code G10 which is for Impreza but for my two cars, codes SF5 and BE5 which are Forester and Legacy respectively, I do not have anything displayed. I think I need to download a different CD and use it with FAST. Do you know how I can find the correct CD ISO file? I'm afk at the moment but I use the 2007 ISO. Not sure but something like 2007010.iso and virtual clonedrive to mount the image. Any kanji you don't know, I can tell you. Or if you can copy and paste, use Chrome browser and an extension like Rikaikun. Thanks. No issues with the kanji here. I got the whole thing working but it's not displaying for my vehicles. I will download more ISOs and keep trying. This is an excellent resource/tool.